Pamela Smith once spent two weeks in a South Carolina jail to make a statement against nuclear energy. 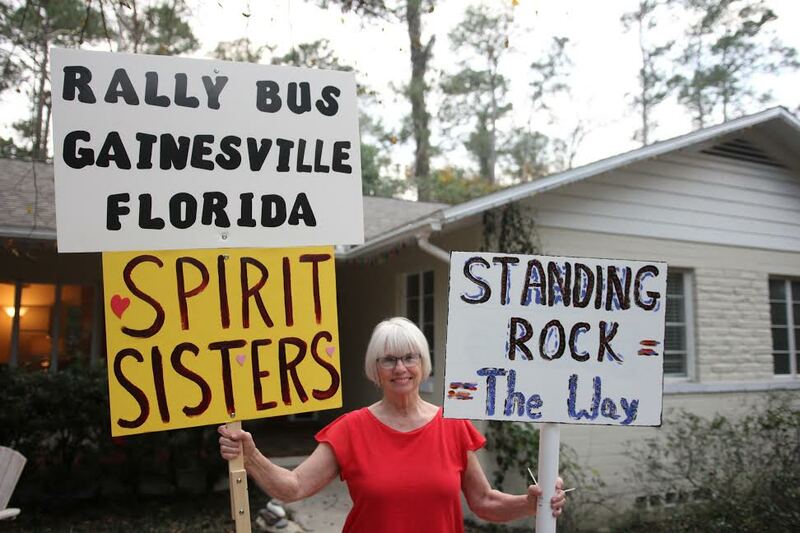 The 72-year-old Gainesville resident has also protested against the Vietnam War, racism and restrictions on women’s healthcare throughout her life. 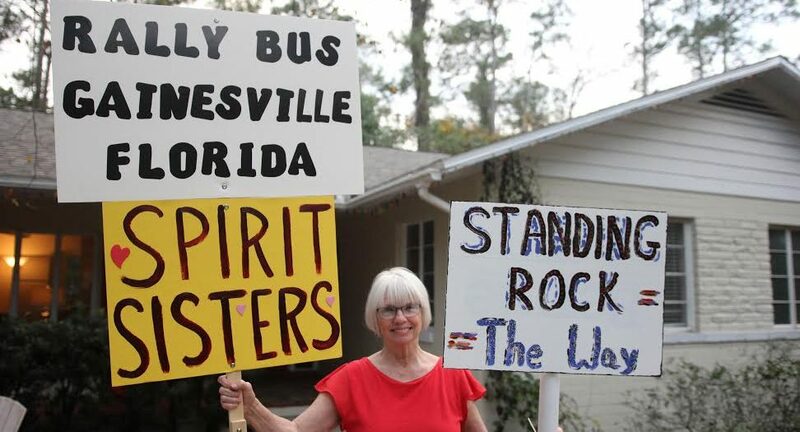 Now Smith, armed with peaceful songs and colorful, painted signs, is again ready to head to Washington D.C. She will join more than 350 other women from North Central Florida who are traveling by bus to the Women’s March on Washington. Seven full buses, each seating 55 people, will depart from the Oaks Mall parking lot on Friday afternoon and drive almost 800 miles to D.C during the night. More buses will be leaving from Alachua than any other county in the state, and that doesn’t even account for all of the march’s local participants. Most are flying, and others are going by car or train, said Holly Sprinkle, coordinator of the Gainesville group of the Florida Chapter for the Women’s March on Washington. On the morning after Donald Trump’s inauguration, protesters will meet near the U.S. Capitol building at the intersection of Independence Avenue and 3rd St. SW. After a three-hour rally with celebrities and political speakers, the march will begin at 1:15 p.m. It will end at the Washington Monument, after which the marchers will return back to their buses and sleep during the drive back to Florida. Sprinkle is in charge of coordinating the people coming from the North Central Florida region. She has met marchers from Gainesville, Melrose, Cedar Key, Ocala and other surrounding towns. Sprinkle started to plan her Washington D.C. trip right after Trump was elected. As she scrolled through her Facebook newsfeed trying to make sense of the election outcome, she saw a friend’s post about the Women’s March on Washington. She immediately reached out to the march organizers to help. As word spread on Facebook, participation commitments skyrocketed past Sprinkle’s expectation. As of Thursday morning, about 27,000 Floridians have committed to attend the march, said Melissa Hawthorne, transportation and logistics coordinator for the Florida chapter of the Women’s March on Washington. 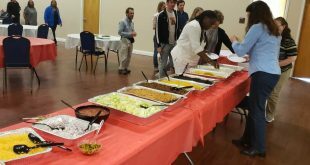 The Gainesville chapter organized buses in order to create an affordable way for people to get to D.C., Hawthorne said. “The buses will be driving through the night, so participants don’t need to pay for lodging,” she said. It costs between $200 and $300 for Floridians to take a bus to D.C., depending on the part of the state each person is coming from. Almost 200 people will be able to ride on a bus for free thanks to donations, Hawthorne said. While Sprinkle said she has experienced inequality because of her gender, this is the first time that she has protested or marched for her rights. “It’s been very humbling to hear stories from women who have fought for women’s rights and the rights of other minorities in the past, and to realize that I’ve been very lucky and very privileged that this is the first time I’ve felt like I had to get in this and get in the fight,” Sprinkle said. Experienced marchers like Pamela Smith have offered advice to first-timers. A Facebook group for Gainesville marchers gave local participants a chance to ask questions ranging from what to pack to how to deal with hecklers. While the Gainesville chapter expects that the Women’s March will be peaceful, Smith also gave safety tips to her fellow marchers — just in case. The members are bringing cloths to cover their mouths as well as eye drops in the event that tear gas is used. “I think it’ll be for nothing, but you don’t want to be unprepared,” Smith said. Smith, an acupuncturist and artist, spent the ’70s and ’80s advocating for national issues such as clean energy and peace in Vietnam. 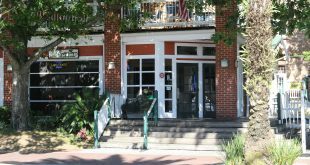 After participating in a Gainesville protest following election day this past year, Smith and some friends decided to form a group called the Spirit Sisters. They purchased a block of 25 seats on the bus to D.C. last year, but now have over 55 members in their group. Even though she’s had issues with past administrations, Smith has never felt as threatened as she does now by President Trump. She is marching to raise awareness for the environment, racial relations and women’s rights. 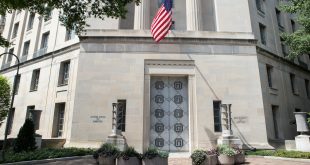 While Smith is concerned that some of the changes that she has advocated for may be threatened, she said that activists have to be patient and can’t expect immediate results. “You have to plant a little seed that you are never going to see, but you have to believe that your little seed that you plant…will become a giant sequoia,” she said.